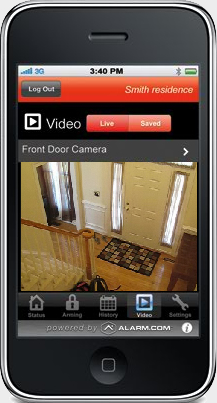 View Real-Time Video From One or More of Your Cameras With WEBCO Security Systems Home And Business Pro Video. System alerts and notifications offer great advances in home monitoring, but wouldn’t it be amazing if you could actually see what’s happening at your property while you’re away? WEBCO's Pro Video allows you to do just that. It even offers options for outdoor and night-vision cameras to monitor what goes on in your yard or driveway. View real-time video from one or more of your cameras. You can watch each angle one at a time, or take advantage of the Multi Camera View to see all camera views on a single screen. 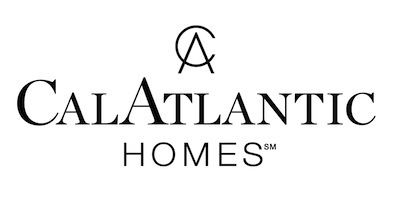 Using any compatible cell phone or web-connected mobile device, you can access saved video clips and even view live feeds. 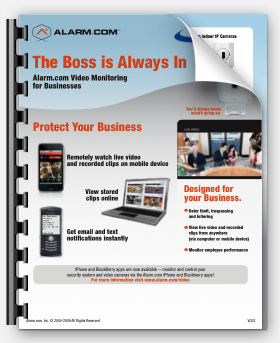 Recorded video clips can also be sent to your mobile along with system alerts and notifications. 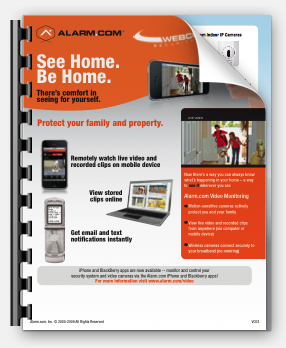 WEBCO is a Alarm.com licensed security dealer and can offer you a variety of security-grade IP video cameras, or even retrofit most traditional analog (CCTV) security cameras to use with Alarm.com. Each camera includes built-in Wi-Fi or Ethernet connectivity and requires only a high-speed Internet connection and a power outlet — no need to plug it into your computer or install any software. 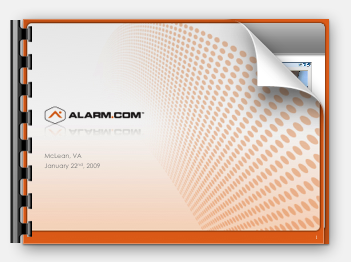 The videos are stored remotely on our servers at Alarm.com, which means that you’ll be able to view both live and recorded clips anytime on the web — or even on your cell phone or PDA. Click on the PDF Files to Learn More.